Poland - - What are you hiding ?????? The laptop of a British UFO hunter was reportedly ‘wiped clean’ before being handed back to his family after he mysteriously died. The sudden death of Max Spiers, 39, has been shrouded in mystery after a friend discovered his body while he was on a trip to Poland to visit a conference. In December 2016, the court heard the conspiracy theorist vomited two litres of black blood before he died, but the inquest was adjourned. The dad-of-two, had allegedly made many ‘enemies’ in his investigations. His inquest will now be held over four days from January 7, next year. A message from his phone sent to his mother Vanessa Bates before he died warned ‘your boy’s in trouble, if anything happens to me, investigate’. At the pre-inquest review yesterday at the Guildhall in Sandwich, Kent, the court heard the barrister for Max’s mother, Adam Taylor, call for members of the Polish emergency services to appear as witnesses. Possible evidence over whether disciplinary proceedings were brought against police officers in Poland over Mr Spiers’s death should also be heard. Analysis of a laptop and a mobile phone that belonged to the father-of-two should also be presented at the inquest, the court heard. Mr Taylor said: ‘The way in which they were returned and what was done to them is clearly one of the big mysteries. ‘The family has no knowledge whatsoever of what the results of that analysis were. Speaking afterwards, Vanessa said: ‘Today felt very positive. It’s just over two years now. I did not expect him to go to Poland and not come back. ‘We’ve got hundreds of pages we are working our way through which are all in Polish. ‘It’s been difficult but gradually we’ve worked our way through. There certainly was some mention of that from the Polish side. ‘We’ve still got stuff that are not translated and I think when we get to the inquest we will know more about whether police procedures were or were not followed. ‘I think it is going to be very difficult to get the Polish witnesses over here. Shortly before his death, Mr Spiers was said to have been probing into the lives of well-known figures in politics, business and entertainment. At the time his mum Vanessa said she feared the worst. By all appearances, Mr. Max Spiers lead a dangerous life. He has then paid the ultimate penalty with loss of his life for the results of his professional curiosity. For amateurs, it is not too healthy to be probing in to the lives of political figures. For as above, the results of the death of Mr. Spiers was a successful assassination that has alluded the Polish authorities and what ever Polish pathology was able to file for a report. it is sad that this guy died in Poland. What type of conference was it? Where was it? There is no details....so it is hard to figure out what is real and what is not. Trust the Britts (though God didn't; that is why he never let the sun set on the British Empire!) They do not have fake news. CONSPIRACY theorist Max Spiers spoke about the rise of a new breed of Nazi in one of his last interviews. 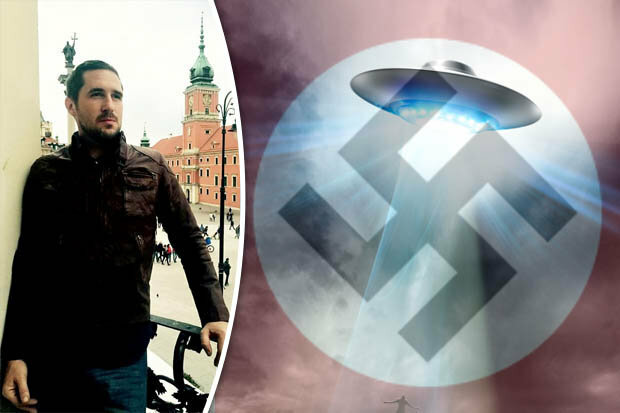 The YouTube clip has sparked fears the UFO expert could have been targeted by the “Fourth Reich” as he revealed his beliefs. Mystery surrounds the death of the dad-of-two amid claims he could have been killed by a sinister force because of his ideas. Pals said he died after “vomiting a black liquid” before he was found on a sofa in Poland, where he was giving talks on conspiracy theories and UFOs. In the one-hour interview for a Polish YouTube channel, he discussed his ideas on the rise of the Fourth Reich – the successor to Nazi Germany – and how it ran the world. He also spoke about Nazi bases on the moon. Mr Spiers was said to have died from natural causes but his mum Vanessa Bates, 63, said no post-mortem examination was carried out. ASSASSINATION: Could Nazis from space be behind the death? 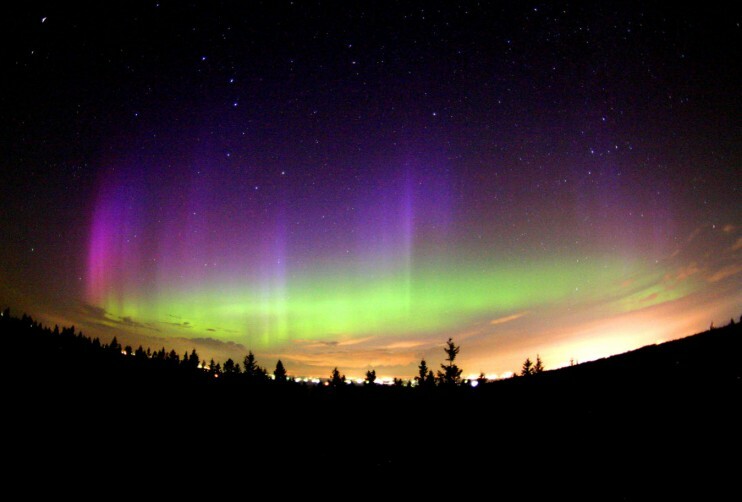 Scott C Waring of UFO Sightings Daily said: “This is really strange. Not sure which dark damp cellar these Brits have been drinking their mushroomed beer, but they needs be to stop, for it is hard on their health. I think perhaps to have heard or read of hidden Nazis at the South Pole with secret submarines. Then with this, the SS in cohoots with space aliens and received secret information and assistance in building flying saucers and death ray machines in as well as space continuem machines capable of time travel. I wonder, perhaps my self am overly conservative? Maybe needs be my self to drink what ever these Brits are up to and understand them..Yes, of course I am normal, the world is not..
John, interesting perspective. I guess, some unbalanced people tend to stick together sometimes... so maybe they are not spread uniformly over the population. Max Spiers (22 December 1976 – 16 July 2016) was a conspiracy theorist from Britain. His death caused controversy among some members of the conspiracy theory community which made him the target of reports from BBC News and other news outlets. Max believed in a variety of paranormal events, including that he had been altered as a child to become a supersoldier (a term which he disliked using). Max's credibility as a conspiracy theorist has been doubted by other members of the conspiracy theory community, including Adam Borowski from Radio Paranormalium, a Polish independent journalist who stated "he [Max] seemed to collect the research of other people and present it as his own" and that Max had never proven having any abilities related to his claim of being made a supersoldier at birth. Spiers died on 16 July 2016 in Warsaw, Poland, while visiting his friend. In a multi-part short documentary series on his death, made by the BBC, his mother stated that she had been concerned about Max's mental health prior to his death, and that she believed he had "gotten involved with the wrong crowd." A final video taken of Max before his death revealed that, according to his mother, he was displaying signs of substance intoxication and that she had seen him in a similar state in the past after he had taken heroin. Another conspiracy theorist, who was close to Spiers, suggested that Max's drug use was controlled by extraterrestrial life. A message from Max's phone stating "your boy's in trouble. If anything happens to me, investigate" was sent to his mother before he died. It is reported that Max vomited a quantity of black fluid prior to his death. Per a diary entry written by Max, aged 5, he accounted seeing "lights outside of the window and strange men wearing v shapes around their necks." Max had been interested in conspiracy theories from a young age and he would often stare outside of the window expecting to see UFOs. Some think that he had watched a programme called Monkey Magic as a child and imagined himself to be Tathāgata, a character with the Buddha's power depicted in the programme. In later life Spiers went on to recall various events including out-of-body experiences which he used to justify conspiracy theories, including the belief that he had been given supernatural powers at birth. Max also suffered severe anxiety, which sometimes left him completely debilitated. 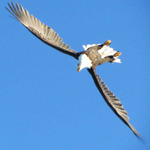 While in the United States he had an accident which resulted in a crack to his pelvis. This led to a prescription of potent opiate pain relief. Max later developed an opioid use disorder. After finding himself unable to acquire more prescription opiates, Spiers began to take heroin. There are claims that Max relapsed while in Poland, and a video taken shortly before his death seems to provide grounds for this assertion, as according to his mother, Max behaved in a way consistent with his previous behaviours demonstrated after having taken heroin. On 16 July 2016 Spiers died on the sofa at a friend's house in Warsaw, Poland. According to the Polish prosecutor handling the case, Max's friend called an ambulance. A doctor attended the scene but was unable to revive Max. He did not take steps to inform police about the incident. Information regarding Spiers' death did not reach the prosecutors office until 30 August 2016, which was after Max's body had been handed over to British authorities. Due to this fact Polish authorities could not conduct an autopsy. On 30 August 2016 an investigation was launched into the circumstances surrounding Spiers' death. The investigation by Polish authorities is looking into the involuntary manslaughter of Max Spiers. The British Foreign and Commonwealth Office (FCO) have commented that British authorities will not conduct investigations into Max's death with an aim to prosecute as it is the responsibility of their Polish counterparts. In December 2016 British authorities announced they would launch an inquest into his death, which is distinct from an investigation with an aim to convict (the role of convicting is undertaken by the Polish Prosecutors' Office, who may choose whether to accept the Inquests findings.) A coroner told the inquest he was waiting to receive a report from Polish authorities. As a result, the proceedings were adjourned until February 2017. The inquest will now go ahead on 7 January 2019 and will last 4 days where evidence will be presented to determine the cause of Spiers death. "Max Spiers: conspiracy theorist's friend Monika Duval to be quizzed by Polish police". Kent Online. Retrieved 2017-03-02. "Fractured: The Death of Max Spiers". BBC iPlayer. Retrieved 2017-03-02. Calzado, Tatiana. "The unsolved death of a conspiracy theorist – The Hawk Eye". www.hebronhawkeye.com. Retrieved 2018-04-05. "A conspiracy theorist 'vomited black fluid before he died'". The Independent. 2016-12-16. Retrieved 2017-03-02. BBC Stories (2017-02-25). "Max Spiers: The mysterious death of a conspiracy theorist (Part 1) - BBC Stories time stamp 116s". Retrieved 2017-03-02. 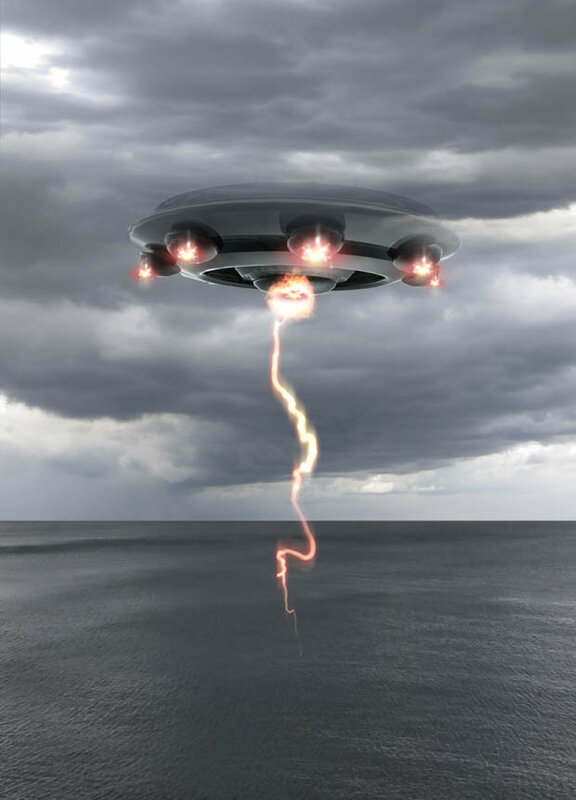 "Sci-fi writer to be quizzed over death of Kent UFO hunter". Kent Live. 2017-02-26. Retrieved 2017-03-02. "UFO expert Max Spiers 'vomited black fluid' before his death, inquest hears". The Telegraph. Retrieved 2017-03-02.